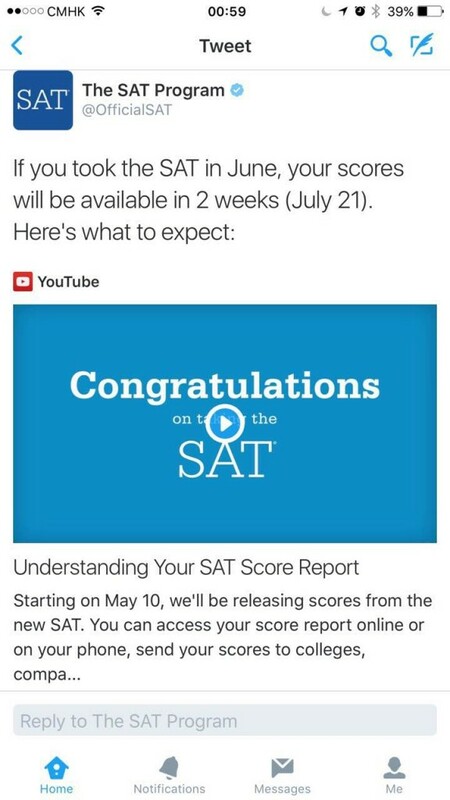 For those who took the June 2016 SAT, you may be wondering when your scores are coming out. Well, the College Board has told us via Twitter. So expect your scores here in two weeks on Thursday, July 21st!